Some April Fool's pranks are obvious, like Burger King's Whopper toothpaste and All Stuf Oreos. 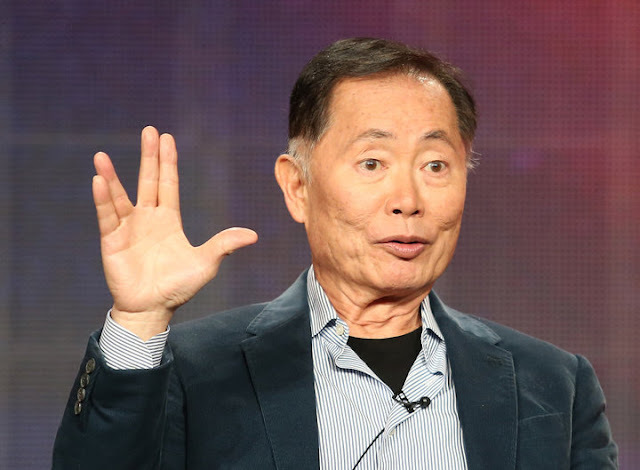 Others, like a report Star Trek actor George Takei might be boldly going into politics, require some mulling over. Mr. Sulu himself fooled many fans late Friday night and early Saturday morning by claiming he was running for Congress. Just after midnight in the east -- the early minutes of April Fools' Day -- Takei tweeted a link to an article that reported he and his husband were moving to Visalia, California. Why the supposed move for the longtime Angeleno? Once transplanted, Takei was going to challenge Republican Devin Nunes, who represents the district Visalia is in. Nunes, who chairs the House Intelligence Committee, has been in the news recently for his handling of an investigation into Russian interference in the 2016 election. Of course, there were some clues the story might be fake news. In addition, to the April 1 date, Nunes' first name was misspelled. And the site where the article appeared, The Daily Buzz, describes itself as "Your Daily Dose of Laughs, Hacks, News and More," though not all of its articles appear to be hoaxes. Still, fans loved the idea. But sadly, Takei won't be boldly going into politics. On Saturday morning, he admitted it was a prank, and instead encouraged fans to support real candidate Jon Ossoff, who is running in the 2017 special election April 18 to represent Georgia's 6th congressional district. Some fans voiced their disappointment on Twitter. But Takei responded that it's hard to know what to believe these days. FREDERICK M. BROWN VIA GETTY IMAGES A lot of people seem to want George Takei to run for Congress. "Star Trek" star George Takei sent Twitter into a frenzy Saturday after retweeting a "bombshell" announcement: He's running for Congress in 2018 to unseat embattled California representative and House Intelligence Committe Chairman Devin Nunes. "Well, the cat's out of the bag it seems," he posted on Twitter with the hashtag #Takei2018. While some fans debated the suspicious timing of the tweet — if it's midnight on the East Coast, does it count as April Fool's Day on the West Coast? — social media exploded with the news. The hashtag #Takei2018 began trending, and the actor's timeline was flooded with congratulations — some from other celebrities and politicians. But, as some had suspected, it was all an elaborate April Fool's Day joke. Takei, 79, later clarified that he had posted it to call attention to Georgia's upcoming special election in which Democratic hopeful Jon Ossoff hopes to fill the congressional seat left vacant by the new health and human services secretary, Tom Price. 0 Response to "Is George Takei running for Congress? Not in this galaxy"